By a News Reporter-Staff News Editor at VerticalNews Science -- The National Institutes of Health has awarded Virginia Commonwealth University a grant totaling $1.8 million to study the biology of allergic disease - work which may one day point researchers to the development of therapies to fight asthma, allergy and inflammatory conditions such as rheumatoid arthritis, multiple sclerosis and heart disease. The five-year grant will be led by John Ryan, Ph.D., associate professor in the Department of Biology in the VCU College of Humanities and Sciences. Ryan and his colleagues will investigate how interleukin-10, IL-10, controls mast cell homeostasis. IL-10 is a type of signaling protein known for its anti-inflammatory effects. Mast cells, which are known to play a central role in asthma and allergy, are packed with granules containing histamine and are found in nearly all tissues, with the exception of blood. Inflammatory substances such as histamine, heparin and a number of cytokines are rapidly released into tissues and blood when a mast cell is activated. This results in an allergic response. "This project is helping us understand how mast cells, the causative agent of allergic disease and asthma, are naturally regulated," said Ryan. "Our data suggest that factors produced by other white blood cells, especially the cytokine IL-10, function as feedback regulators to prevent mast cell-mediated inflammation from becoming chronic. 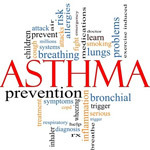 We have recently found that genetic background can alter responsiveness to this feedback regulation, which could predispose individuals to chronic allergic diseases like asthma." Earlier this year, Ryan received a $1.8 million NIH National Institute of Allergy and Infectious Diseases grant for another project investigating the molecular interaction of two enzymes and their involvement in inflammation. This project is designed to understand how the production of autoantibodies leads to arthritis. "We are specifically interested in how two enzymes, tyrosine kinases called Fyn and Lyn, appear to be activated inside immune cells," Ryan said. "We believe that these two enzymes are an antagonistic pair, with Fyn promoting and Lyn antagonizing the onset of arthritis." Understanding this pathway could lead to the design of new therapies for rheumatoid arthritis, he said. The project is also five years.